Joining a the IYAK family is a great opportunity to promote IYAK and your own brand, learn trade secrets from the best and meet experts to help you grow your skills. If you are an established or lifetime IYAKer, it may be time to pay it forward. There are exciting things afoot at IYAK in 2019- come see what all the new energy’s about! 1). Experience: You will get to experience how things work inside IYAK and see what all goes into making our yakers so successful! 2). Relationships / Networking: Joining a committee helps you build stronger relationships with some of IYAK’s most talented breeders. You’re guaranteed to make new friends! 3). Brand Building: Not just participating, but becoming involved with IYAK will help you build your ranch brand. After all, it’s not about who you know.. It’s about who knows you. 4). Development: The things that you will learn while participating in an IAYK committee will directly translate into professional and personal development. 5). Leadership Opportunities: Through active participation on a committee, you will have the opportunity to become a board member. 6). Service: Joining a committee gives you the opportunity to serve IAYK at a greater level and contribute to the growth and future success of the organization. 7). Pay it Forward: You’ll be able to give back to the yak community that IYAK serves by making a difference through committee involvement. 8). A Chance for People to See you in Action: Get the chance to SHOW people how great you are! 9). Community: IYAK is made up of a wonderful community of knowledgeable and helpful yak herder and breeders. Promotes the benefits of IYAK membership. Identifies issues important to members. Evaluates current and potential products and services. Works to enhance the value of IYAK membership. Members of this committee serve a maximum of a two-year term; the chair and vice-chair serve one year in each leadership position. Offer unbiased recommendations and work for the good of the organization and membership. Respond to communications from chair and staff liaison in a timely manner. Provide input to IYAK staff and committee leadership upon request. Recuse themselves when IYAK’s mission is in direct conflict with the focus of the committee. Review supplied materials for discussion (if any) prior to meetings or conference calls. Seek guidance and direction from committee chair. Nominate, evaluate and recruit new committee members when terms are ending. Willingness to share opinions openly with colleagues. Makes a serious commitment to participate actively in committee work. Experience on a volunteer board or committee such as a civic association, PTA, homeowners’ association, etc. preferred. Marketing or customer research background is a plus. Participation in a monthly conference call generally held on the first Wednesday of each month at 7pm CST. Participation in IYAK events, such as the NWSS. Busiest time period: work is consistent throughout the year. Interested candidates, please send an email introducing yourself to nomination@iyak.org. Please include 1-3 sentences describing why you want to be involved, and the best way you can contribute to our mission. Interested candidates will be contacted by the committee chair. The Communications Committee directs IYAKs marketing and communications strategy. Members help team to oversee a consistent and active communication strategy to all stakeholders for the purposes of member education, recruitment, fundraising, awareness and branding. Establishes and maintains IYAK marketing, branding and communication plans and initiatives. Advises on strategies for marketing and web presences: electronic/social media (e.g. Facebook, etc), newsletter, website and print. Ensure fulfillment of the mission of the organization. Set strategic direction and overall policy. Act as ambassadors for the organization. Engage in fundraising, and promote the organization’s image and public standing. To establish an organizational culture that embraces strategic planning and sets clearly defined goals. Comfortable working in a fluid environment and taking initiative. Entrepreneurial drive and desire to play lead role in IAYK’s growth strategy. Interest or experience with development of branding strategies. Participation in a monthly conference call generally held on the first Tuesday of each month at 7pm CST.. Interested candidates, please send an email introducing yourself to nominations@iyak.org. Please include 1-3 sentences describing why you want to be involved, and the best way you can contribute to our mission. Interested candidates will be contacted by the committee chair. Sed nulla auctor, nec placerat felis sodales. Etiam et turpis mattis, efficitur mi ut, ultrices diam. Donec consectetur, odio eget porta varius, orci mauris viverra ante, eget egestas turpis sapien vel orci. Donec eu ornare augue, ut efficitur velit. Vestibulum et magna mattis, sollicitudin ligula ac, facilisis dui. Ut blandit lectus neque, sit amet fringilla nisi mollis eget. Sed a eros nec leo euismod eleifend sit amet ut nisl tempor dolor sed nulla. Participation in a monthly conference call generally held on the first Monday of each month at 7pm CST. All activities of the Helth Committee will be guided by the overarching IYAK Code of Ethics and be consistent with the goals for animal welfare as approved by the Board of Directors. Members aid the Board of Directors in recognizing and making members aware of ways to prevent and suppress disease and harmful health conditions in their yak. 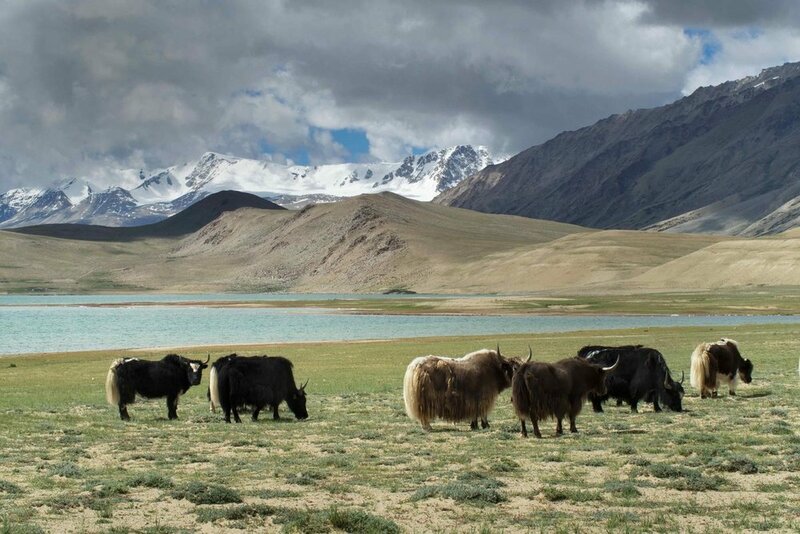 Seek information pertaining to yak welfare issues from groups internal and external to IYAK. Send members as necessary, to engage in discussion, promote IYAK policy, and report on developments at appropriate meetings and other venues. A medical degree in veterinary medicine, biological and health science, or a Doctor of Medicine is preferred.